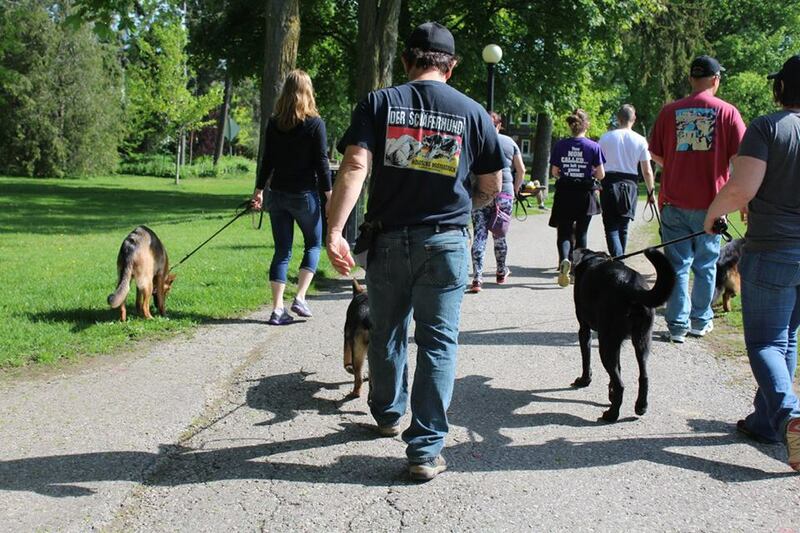 Our pack walks are open to the public, but are breed specific. Our walks are structured in nature. This means that all dogs must remain leashed and under control on pack walks. If a dog is showing sign of being overly stressed or uncontrollable aggression they may be asked to leave the walk. As a result of the structured nature of our pack walks, our dogs are able to gain confidence, build focus towards their handler and work through some distractions. The structured nature leads to a safe environment for the dogs and handlers. We feel that dogs who lacks confidence, who display reactivity or fear aggression towards other dogs can find solitude in the structured pack walks. This however, is NOT a solution to any behavioral or training issue your dog may face. 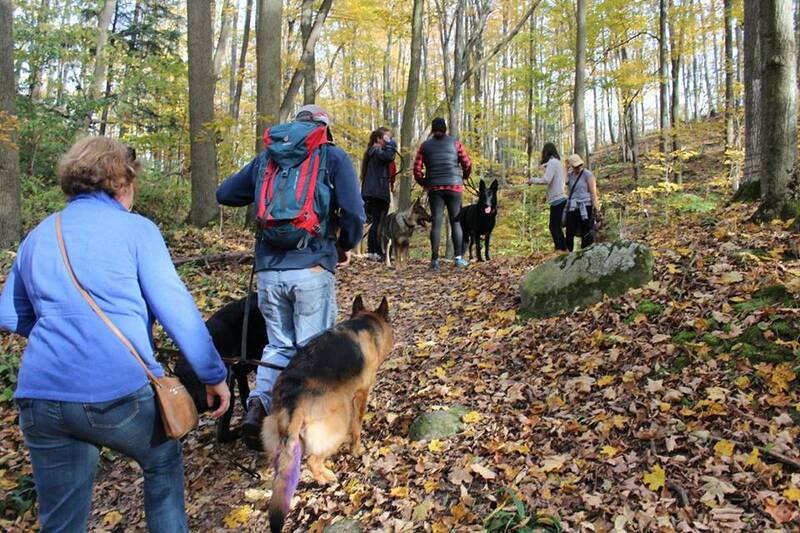 Our pack walks are over 1-2 hour(s) in duration. How to attend your first pack walk. Please contact us through this website and or Facebook to let us know you will be joining us. At this point just let us know any questions you may have. 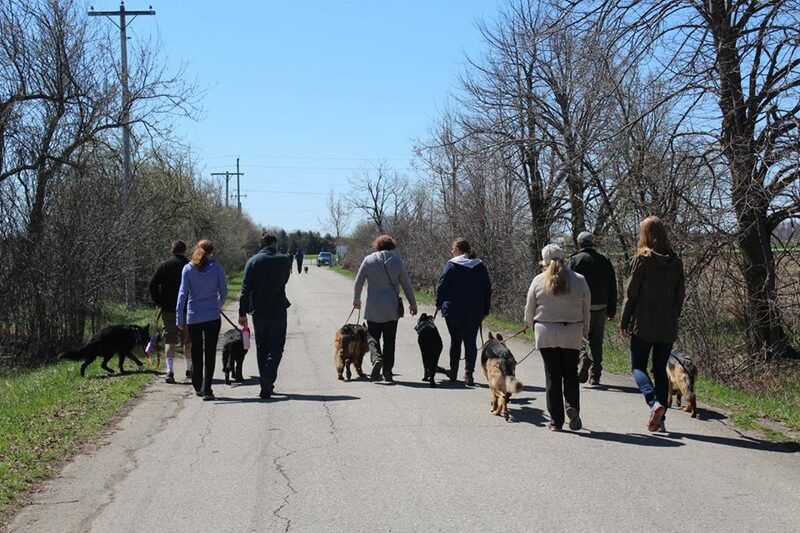 Once you arrive at the walk please leave your dog in the vehicle and talk to one of our committee members or pack walks leaders just so we can go over the rules and introduce you to the group. First walks can be a lot for some dogs so we suggest hanging out at the back until you and your dog are comfortable. We pair new people up with a committee member or pack walk leader at the start. You can find pack walks on our Facebook page and on the club calendar on the website. All dogs must be leashed with a maximum 6 ft. leash for the entire walk ; NO Flexi or retractable leads permitted. No two dogs shall interact without the permission of both handlers, prior to dogs engaging. Handlers must have control of the dog(s) they bring to the walk (no pulling to other dogs or people, etc.). Children are welcomed to pack walks, but must NOT approach ANY dog unless owner is fully aware and permission has been asked and granted. All dogs attending the pack walks must have a valid rabies certificate or titer. If your dog has had kennel cough or any other contagious illness all pets in your house hold must be symptom free for 14 days before attending a walk. Reactive and/or aggressive dogs are allowed to our walks, but owners are asked to respect the other members and to please remain in control of your dog at all times. Dogs that are overly stressed or overly aggressive maybe asked to leave a large distance so they settle. If unable to settle they may be asked to leave the walk. 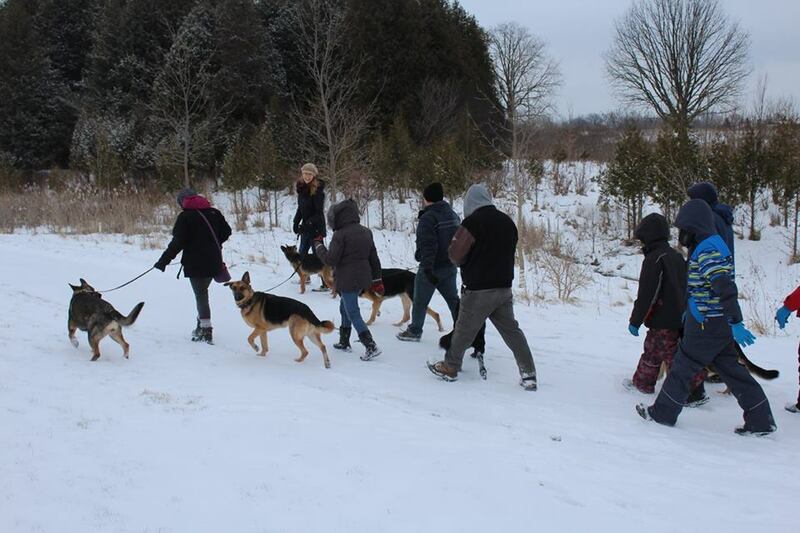 ​There are no restrictions on types of collars/correctional tools used at our walks.